On Friday, petrol rates were at Rs 71.75 per litre in Delhi, Rs 74.5 per litre in Kolkata, Rs 79.63 per litre in Mumbai and Rs 74.4 per litre in Chennai, according to Indian Oil. Petrol prices and diesel prices were hiked across Delhi, Kolkata, Mumbai and Chennai on Friday. While petrol prices were increased by 18-19 paise per litre in the four metros, diesel prices were increased by 23-24 paise per litre. 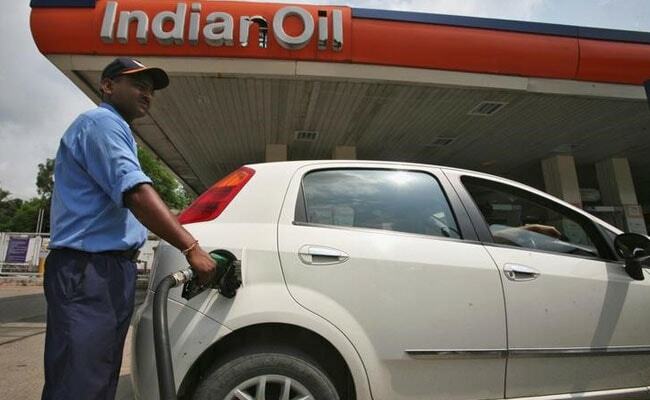 Effective 6 am, Friday, petrol rates were at Rs 71.75 per litre in Delhi, Rs 74.5 per litre in Kolkata, Rs 79.63 per litre in Mumbai and Rs 74.4 per litre in Chennai, according to Indian Oil Corporation's website - iocl.com. Diesel rates were at Rs 62.48 per litre in Delhi, Rs 65.17 per litre in Kolkata, Rs 66.54 per litre in Mumbai and Rs 65.87 per litre in Chennai, according to Indian Oil Corporation - the country's largest fuel retailer. 1. With Friday's increase, petrol prices have been increased by a cumulative 24-25 paise per litre in the past two days, while diesel prices raised by 33-35 paise per litre. 2. On February 28, the prices were steady across Delhi, Kolkata, Mumbai and Chennai compared to the previous day. On that day, petrol retailed at Rs 71.51 per litre in Delhi, Rs 74.26 per litre in Kolkata, Rs 79.39 per litre in Mumbai and Rs 74.15 per litre in Chennai. Diesel was sold at Rs 62.15 per litre, Rs 64.84 per litre, Rs 66.19 per litre and Rs 65.52 per litre respectively. 3. In February, petrol rates were lowered by a cumulative Rs 1.36-1.48 per litre in the four metros. Diesel rates were brought down by Rs. 1.83-1.98 per litre during this period. 4. So far this year, petrol prices have however gone up by Rs 1.76-1.87 per litre across the four metros. Diesel prices have been hiked by Rs 2.84-3.27 per litre during this period. 5. Petrol and diesel rates are revised with effect from 6 am every day. 6. Petrol and diesel retailers in the country - with Indian Oil Corporation being the largest - adopted a daily price revision system from June 2017. 7. Since June 1, 2017, petrol rates are up by Rs. 4.84 per litre in Delhi, Rs 4.98 per litre in Kolkata, Rs 1.19 per litre in Mumbai and Rs 4.47 per litre in Chennai. Diesel rates are up by Rs 6.54 per litre, Rs 6.89 per litre, Rs 4.87 per litre and Rs 6.65 per litre respectively. 8. In the current scheme of petrol and diesel price revision, the prices of the two fuels are determined broadly by the global crude oil rates and the rupee-dollar exchange rate. 9. International crude oil benchmark Brent was up 7 cents, or 0.1 per cent, at $63.90 a barrel in recent prices on Friday. 10. The Organization of the Petroleum Exporting Countries (OPEC) will hold a dinner on Monday in Houston with US shale firms, the latest sign of the producer group widening talks about how best to tame a global oil glut.